A bunch of recent features and game action from Toronto’s sports scene. 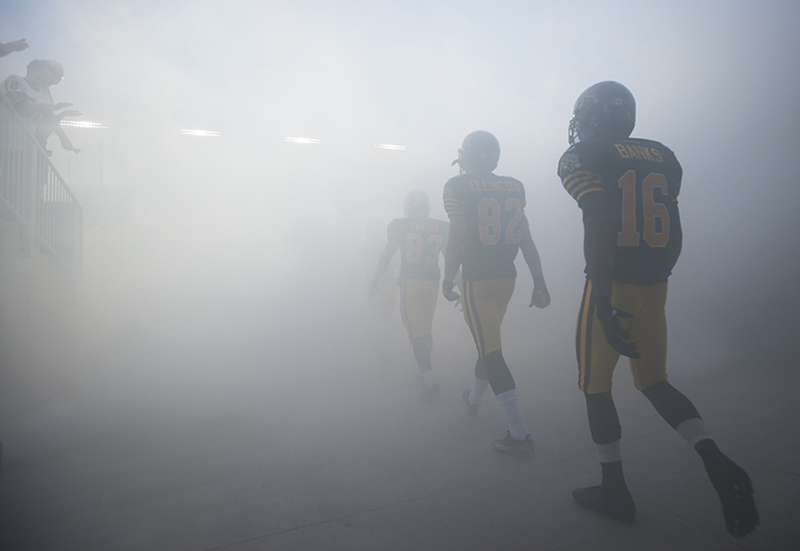 Members of the Hamilton Tiger-Cats walk through smoke before taking the field in CFL action against the Edmonton Eskimos at Tim Hortons Field in Hamilton, Ont. 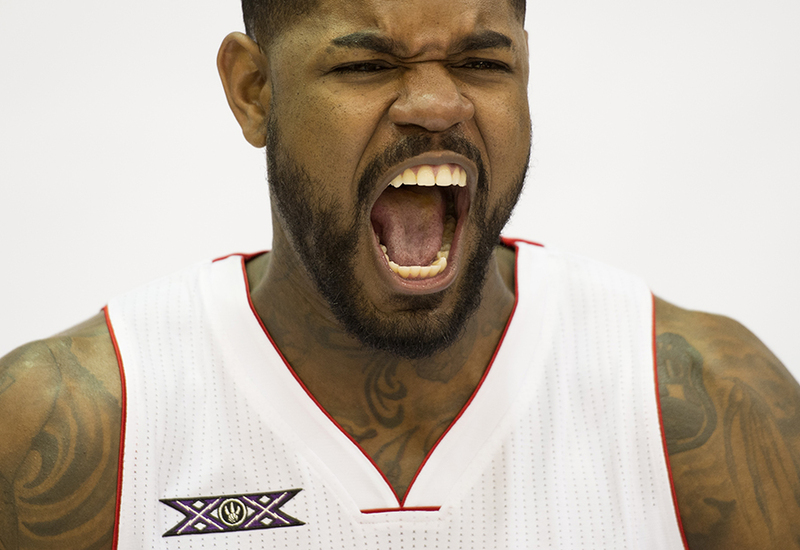 Toronto Raptors’ Amir Johnson yells while posing for photos and showing off the team’s 20th anniversary logo during the team’s media day. 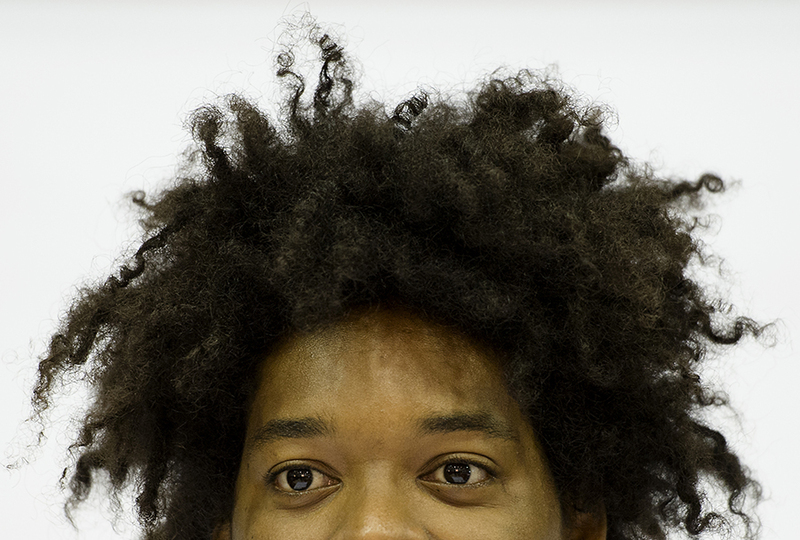 Toronto Raptors’ Lucas Nogueira poses for photos at the team’s media day. 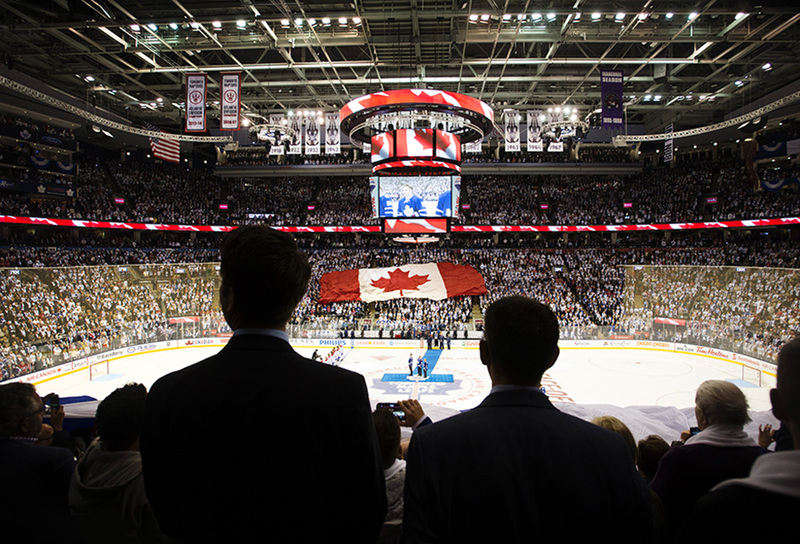 Fans stand for “Oh Canada” at the Air Canada Centre before the first game of the NHL regular season between the Toronto Maple Leafs and Montreal Canadiens in Toronto. Toronto Maple Leafs’ Joffrey Lupul, right, collides with Montreal Canadiens’ Tom Gilbert as Canadiens’ teammate Andrei Markov looks on during first period NHL regular season action in Toronto. Toronto FC’s Daneil Lovitz, left, pushes New England Revolution’s Andrew Farrell while battling for the ball in the second half of MLS soccer action at BMO Field in Toronto. 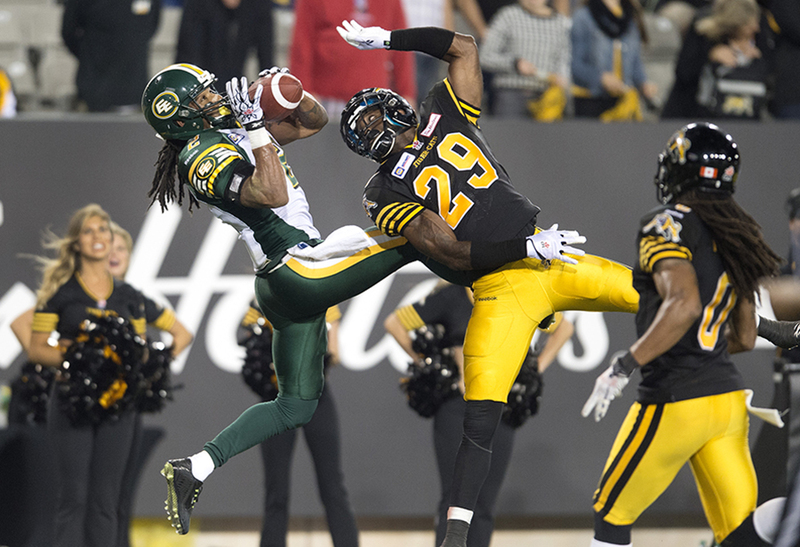 Edmonton Eskimos’ Fred Stamps, left, leaps to catch a touchdown in front of Hamilton Tiger-Cats’ Ed Gainey during second half CFL action in Hamilton, Ont. 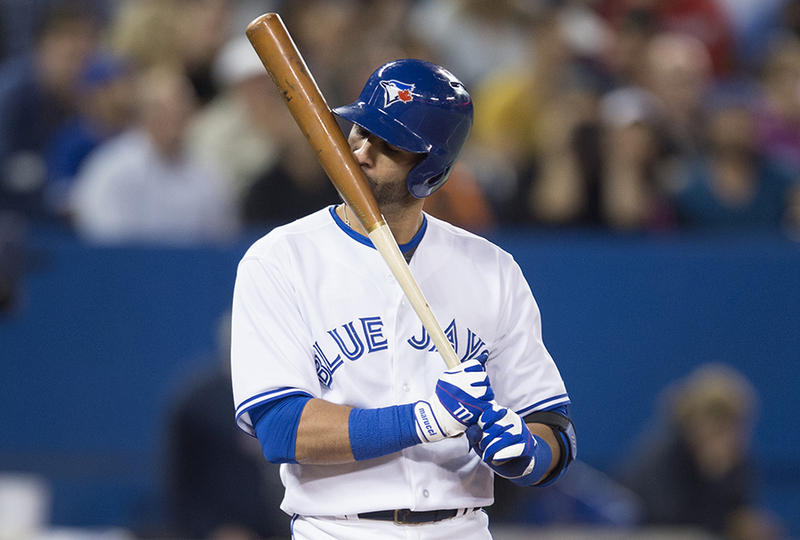 Toronto Blue Jays’ Jose Bautista kisses his bat while in the batter’s box in the fourth inning of MLB baseball action against the Baltimore Orioles in Toronto.